Exactly 50 years ago this week, the world received notice that a new film series was about to being. What nobody could have predicted at the time was that it would become the longest and most successful (inflation adjusted) movie franchise in the history of cinema. 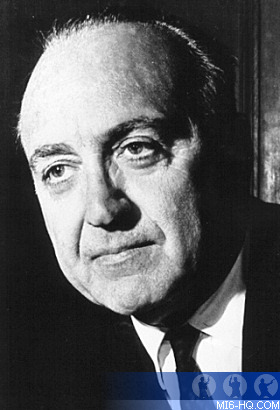 Harry Saltzman had secured the cinematic rights to Ian Fleming's James Bond adventures (all except 'Casino Royale', the content of 'The Spy Who Loved Me' shortstory and - at the time - 'Thunderball') for a reported $50,000 in early 1961, but his short 6 month time-frame to secure a studio deal was fast running out. In step Cubby Broccoli, who had been interested in the Fleming rights for some time. The pair formed Danjaq S.A., the company responsible for the rights to the pictures, named after their wives: Dana and Jacqueline. The more famous EON Productions was created shortly after the confirmation of their partnership (on July 6th, 1961) and to date is a subsidiary of Danjaq, responsible for making the pictures themselves. The next move was to organise a meeting with Arthur Krim, head of United Artists for 20th June 1961. In less than one hour, UA granted Saltzman and Broccoli a budget of $1m to make the first James Bond film, "Dr. No". The deal would see 60% of the profits go to EON, and 40% to United Artists. Above: United Artists president Arthur Krim. With the deal settled on just a handshake, Saltzman was keen to hear from other studios and, although initially reluctant, Broccoli attempted to set up a meeting with rival Columbia Pictures. But they were not interested, and would regret the decision in the years to come (Columbia would finally get to release a Bond film in 2006 with "Casino Royale" due to Sony's part in the MGM takeover deal). 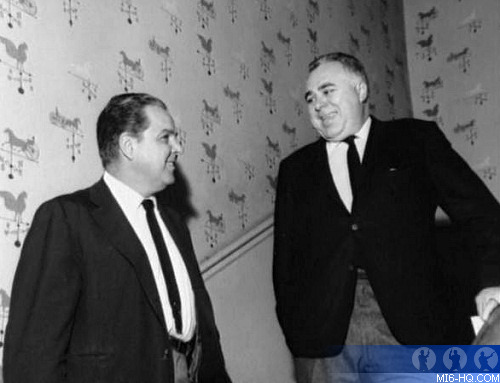 Above: Albert R. 'Cubby' Broccoli and Harry Saltzman.